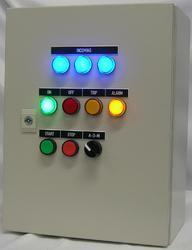 Our Motor Starter Control Panels are acclaimed for their sturdy make. We are assisted by a team of professional quality experts who check our products at different stages such as production, packaging and delivery. Our company guarantees to make delivery of bulk as well as retail orders of the product within the mutually decided timeframe.